Four Canadians shamed for allegedly disrespecting Yellowstone's Grand Prismatic Spring have returned to Facebook after emerging from a "torrent of blind hatred" with a video listing their 'Top 10 Reasons to Explore National Parks'. Four Canadians shamed for disrespecting Yellowstone's Grand Prismatic Spring have returned to social media after emerging from a "torrent of blind hatred" with a video listing their "Top 10 Reasons to Explore National Parks." The members of the High on Life team vanished from previously hyperactive Facebook and Twitter accounts after arrest warrants were issued in May for three of them on misdemeanour charges of violating Yellowstone Park rules. Justis Cooper Price-Brown, Charles Ryker Gamble and Alexey Andriyovych Lyakh were charged along with a fourth man after park visitors saw them walk off a boardwalk and approach the hot spring with an array of cameras. The allegations sparked a firestorm of anger and petitions from people who accused the men of thumbing their noses at American monuments. In a series of posts from the past two days, the group say they needed the past two months to reflect, but still have "a lot of light to share with the world." "We got burnt out and needed down time and time apart. The explosive finish with our mess-up in Yellowstone and the wave of angry internet hate that followed brought many lessons along with it," the group wrote in a Facebook post on Sunday. "For a while we almost forgot who we really are in this torrent of blind hatred. But despite it all, we know that we are good people with good intentions. These folks don't really know us and their hate towards us is a reflection of something else. We won't take it personally and we send them love in return." Meanwhile, court documents from a case status conference held last week in Wyoming suggest the problems the group faces are far from over. 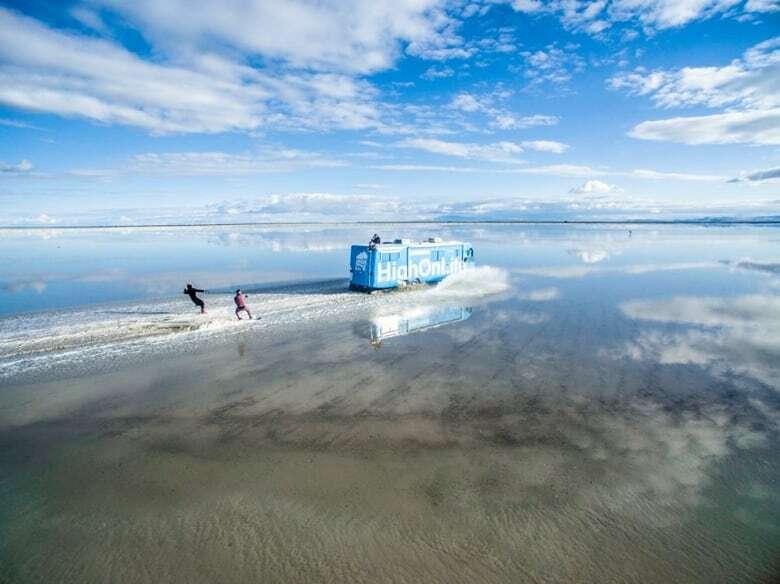 Government attorney Francis Leland Pico told Judge Mark Carman that cases are pending against the men in California's Death Valley, Colorado's Mesa Verde and Utah, where they filmed themselves water-skiing on the Bonneville Salt Flats. The judge asked for monthly status updates because of the "high level of publicity" surrounding the case. Pico said the three accused "will need to come in person" back to Yellowstone to resolve the charges. Defence lawyer Thomas Fleener told the court that could be difficult, given the warrants mean they would likely be arrested as soon as they cross the border. But he said, "We want to get all the cases resolved. We want to allow all the park units some time to get their cases/sanctions filed." The Grand Prismatic Spring is the largest hot spring in the U.S. It's a federal offence to travel off boardwalks or trails or to create a hazardous or physically offensive condition within the boundaries of Yellowstone National Park. According to the original complaint, Gamble, Price-Brown and Lyakh were identified through photographs posted on their Facebook site. They drove through the U.S. in a large blue bus with the words "High on Life" emblazoned on the side. That twigged authorities to the page where the pictures were posted. The last word from the group was an apology on May 17 and the promise of a $5,000 donation to Yellowstone. The new video comes with a preface: "One thing we must highlight is the fact that a lot of these places are in the wild, and we must behave responsibly and respect them when we visit. The rules are there to protect the parks and [their] guests … learn from our mistakes, don't break the rules, and help these incredible places thrive." In the video itself, the team extols the virtues of national park conservation, noting the effects of climate change and tourism. "All of these things affect the ability for national parks to thrive, so we have to build a higher awareness around the importance of protecting these parks because they're some of the last remaining pieces of our history," one of the group tells the camera. Utah's Bureau of Land Management previously confirmed an investigation for alleged violation of rules prohibiting people from driving on the Bonneville Salt Flats. Those would be misdemeanours. 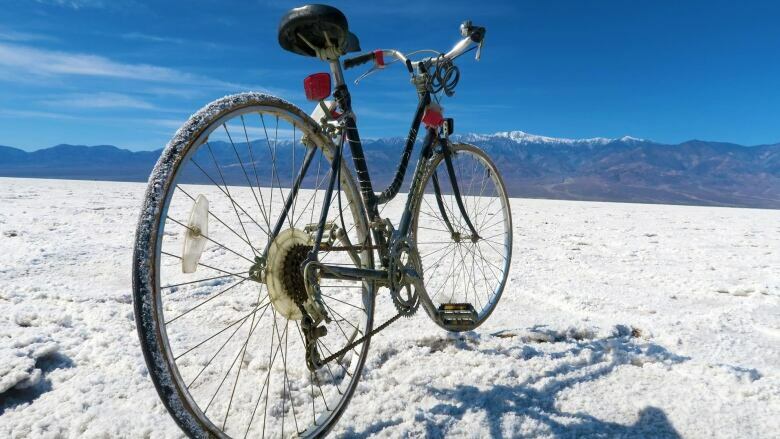 Visitors are also warned against disturbing Death Valley's salt flats, where the group took pictures of themselves riding bicycles. Pico said the government is hoping to "design a global disposition," which would see all national park service cases dealt with before the Wyoming court. The fourth man charged, Hamish McNab Campbell Cross, is an independent filmmaker who lives in New Zealand. The next status conference for the case is set for Aug. 8.